Andrzej is a PhD student at the Maersk Mc-Kinney Moller Institute at the University of Southern Denmark. His research interests revolove around software design, modularity, measurement and software evolution. 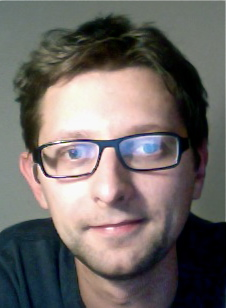 Apart from working on Featureous, Andrzej investigates concern-oriented remodularization, especially the topic of remodularization of legacy Java software towards feature-oriented decompositions. Bo N�rregaard J�rgensen is an associate professor at the Maersk Mc-Kinney Institute, University of Southern Denmark. He received his Ph.D. from University of Southern Denmark in 2000. His research interest is software evolution, including the fields of programming language technology for dynamic adaptation of object-oriented systems, reflective object-oriented middleware for distributed systems, and software technology for component-based development. Currently, he is the manager of the Sun Center of Excellence in Software Technology for Eco-Social Sustainable Development (ecosoc.sdu.dk).